Often associated with purity, innocence, and beauty, unicorns appear as benevolent fantasy creatures in many tales and legends, known for the horn that emerges from their foreheads. 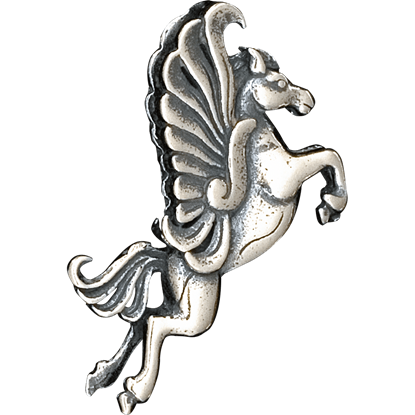 Pegasus, the winged flying horse of mythology, often merges with unicorn designs, appearing here alongside other fantasy equine creatures like Hippocampus and water horses. 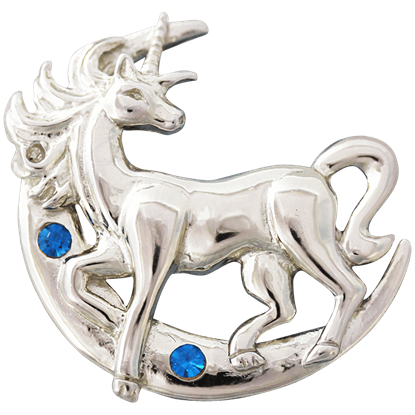 We bring all of these mystical creatures to you in our unicorn and pegasus jewelry, which shows off the legendary beasts in a number of striking designs. We include pieces designed by the famous artist, Anne Stokes, as well as many that feature shimmering gemstones. 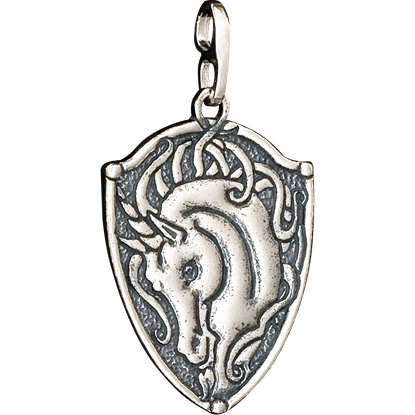 Take a moment to browse through our unicorn necklaces, pegasus pendants, and other magical horse jewelry to find the perfect piece to suit your taste! 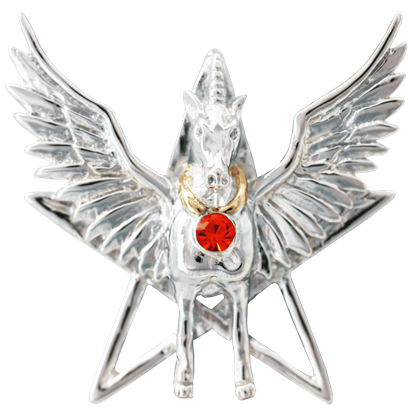 The 3D Pegasus Rampant Pendant is a modern vision of this winged horse, which is a famed creature of Greek mythology. This item captures the essence of this mythical beast in a way that can accent and complete your look. 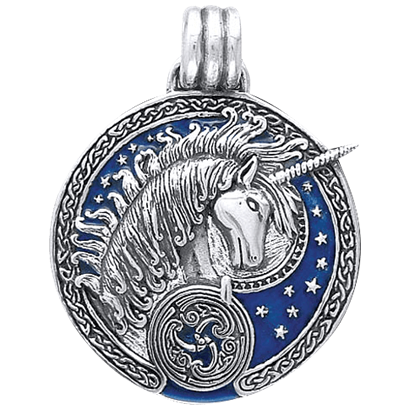 Get the Celtic Unicorn Pendant and add a fantastic piece to your ever growing collection of Celtic regalia or unicorn paraphernalia. 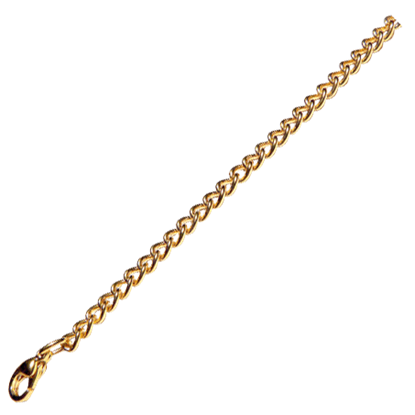 It is also a great way to add some additional style and magic to your overall look too. 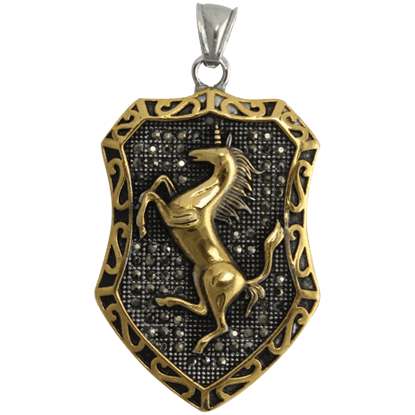 With the Celtic Unicorn Shield Pendant, you get a fantasy adorned with Celtic inspiration. This pendant is a unique item that captures and combines the essence of two styles in a way that will easily accent your current look. As a friend to the muses, it makes sense that Pegasus would have something to do with inspiration. This Divine Pegasus Necklace by Anne Stokes recalls this connection, and depicts the Pegasus alongside an ages-old symbol of power. 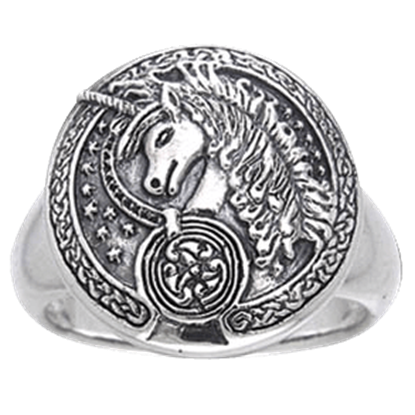 Get the Engraved Celtic Unicorn Silver Ring and add a fantastic piece to your ever growing collection of Celtic regalia or unicorn paraphernalia, as well as a piece of iconic and classic fantasy that you can enjoy every day. 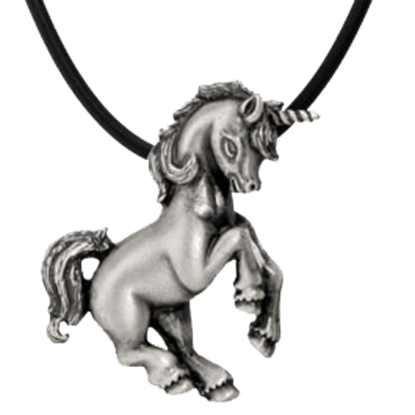 Embrace the elegant tones of the fashionable Fantasy Unicorn Necklace, which will easily enhance the feel of any look. This original jewelry item can be a great fantasy accent for any personal collection, so pick one up today. Carry a bit of fantasy magic with you wherever you wander when you keep the Forest Unicorn Cameo Necklace close to your heart. The oval cameo center of the pendant reveals artwork of a unicorn journeying through an enchanted forest. 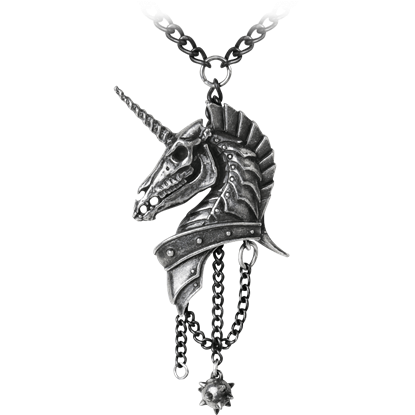 Offering an alternate interpretation of history, the Geistalon Necklace displays the thundering phantom of a cataphract unicorn inspired by the Battle of Carrhae, one of the most crushing defeats of the Roman Empire. Unicorns are the national animal of Scotland, which is why a rampant unicorn, like the one in the Gold Unicorn Pendant, shows up on some Scottish heraldry. This ornate pendant is fancy enough to be the crest of a royal family! 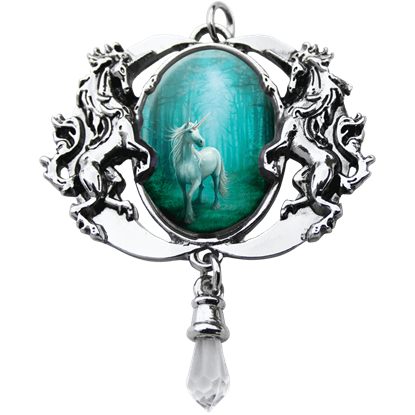 A pair of mythic concepts comes together in this Lunar Unicorn Necklace by Anne Stokes, both influenced by the wilds of nature. The unicorn is a beast embodying purity and natural wildness, while Diana, the goddess, is much the same.